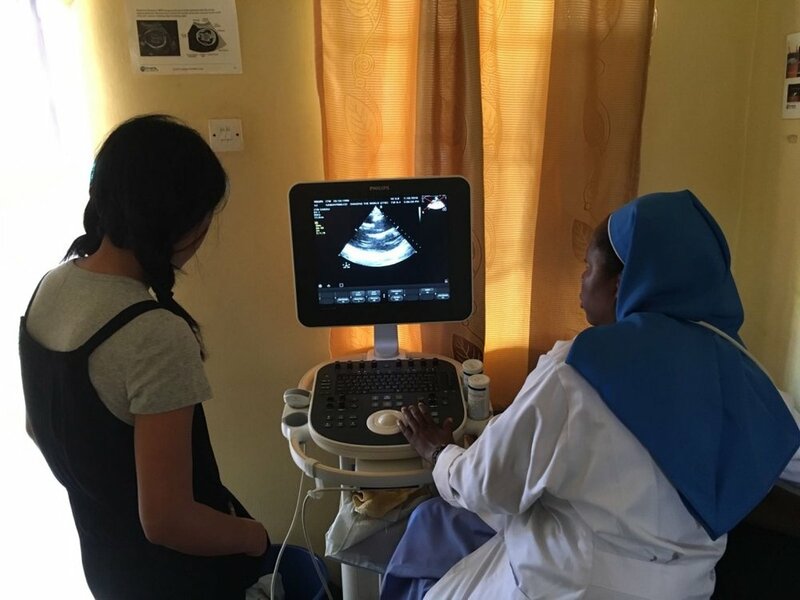 Ultrasound Imaging: Sister Angela, the nurse midwife at Nawanaygo HCIII has been trained through Imaging the World’s unique ultrasound training program to perform and interpret ultrasound at the point of care. The Cardiac Program: Identifying the prevalence of rheumatic heart disease in pregnant women, has been very successful since it was introduced in January. Team members from Children’s National Hospital were onsite this week. Community Outreach: Sensitizing the community of the different ultrasound programs (Ob/gyn, cardiac, breast) is done by educating of the VHT (village health team) which in turn educate the community members. This outreach is a key component the success of the program. 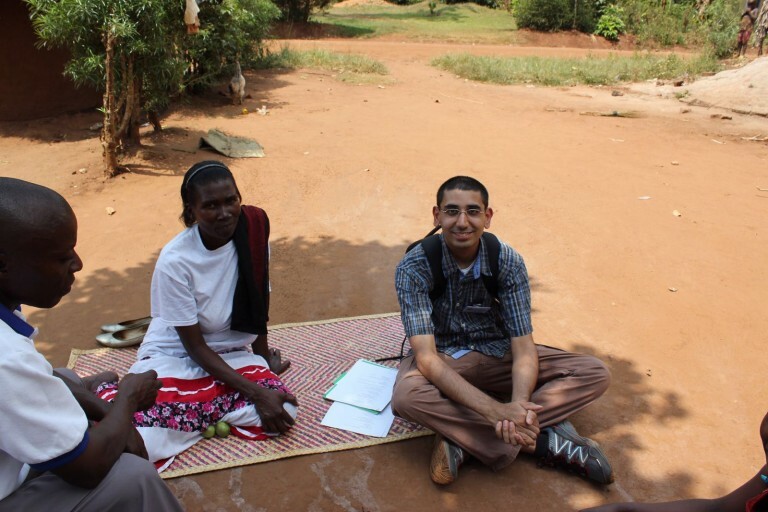 Radiology resident Naiim Ali works with Village Health Team. Education: Another unique program ITW has implemented is the US Lab. High school students from the USA come with the ITW team to learn about their ultrasound program in rural Uganda. During their visit the USA students meet with the Ugandan high school students to deliver education on pregnancy, risks of teen pregnancy, family planning and ultrasound, the technology of how it works and the role it plays during pregnancy. The students then see an ultrasound being performed at the clinic on a pregnancy women from the village. For most this is the first time they have seen an ultrasound. This peer –to –peer educational program is empowering the youth of Uganda to make decisions about their future “based on choice not chance.” It also identifies the cultural barriers the youth in Uganda experience, which in turn allows us to consider possible solutions to these barriers that we can address through future outreach programs.